Pew Research Center has recently launched a new way to classify religions based on beliefs and behaviors that cut across many religious identities. 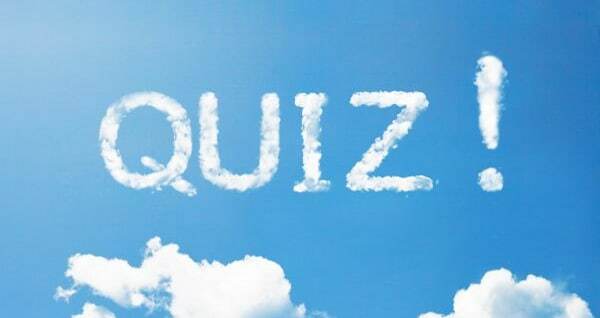 While most American adults identify with a religion, describing themselves as Protestants, Catholics or Jews (to name just a few), the new typology sorts U.S. adults into seven cohesive groups based on their answers to 16 questions. 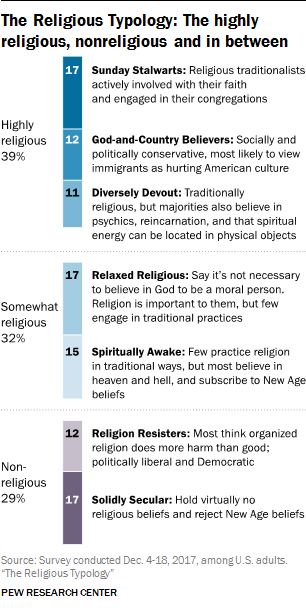 Pew has based the analysis on responses to these questions regarding their religious and spiritual beliefs and practices, the value they place on religion, and the ways they find meaning and fulfillment in life. While these typology groups were assembled without regard to religious affiliation, it is still revealing to analyze the religious composition of each group. Pew reports that each has its distinguishing markers, but none of the typology groups is religiously uniform, and every major religious tradition is represented within multiple typology groups. Sunday Stalwarts, for example, are largely Protestant but also include Catholics, Mormons, Jehovah’s Witnesses and Jews. And while most Solidly Seculars are religiously unaffiliated, their ranks also include Americans who identify as Protestants, Catholics and Jews, among others. Where Do You Fit in This New Religious Typology? survey of more than 4,000 U.S. adults.